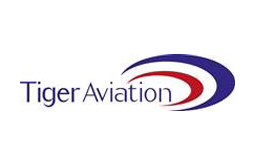 Tiger Aviation is a fully approved Aviation Training Organisation. With a range of single and multi-engine helicopters available, we provide ab-intio training up to Airline Transport License for both Helicopter and Aeroplane pilots. With over twenty three years’ experience in providing helicopter training, Tiger Aviation has now expanded to provide fixed wing training onto its portfolio. Tiger Aviation designs, develops and delivers a full range of aviation training solutions to fulfil individual customer needs. As majority of our clients are from non-English speaking countries. We have developed an Aviation English language programme which is provided onsite and enables students to achieve an IELTS level 4 prior to commencing flight training and ICAO Level 4 for the issue of their Pilots license. Other than UK students, Tiger Aviation specialises in providing Companies and Foreign Governments with an aviation training programme tailored to their specific requirement. The high standards, ethos and very specialised nature of Government aviation requirements allows Tiger Aviation the opportunity to provide tailor-made solutions that go beyond the normal training provided in a standard civil training organisation. Delivery of the training itself takes place at our facility at Shobdon aerodrome which is the largest custom training facility for helicopter pilots in the UK.